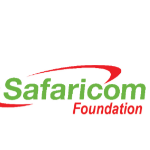 The Safaricom Foundation Technology for Good Accelerator is a three months long incubation and seed-funding program that empowers entrepreneurs to launch globally scalable mobile tech driven startups that solve relevant local challenges. Selection-Our selection process is a unique full-day workshop and pitch presentation (after a week) where participants are trained and equipped with the most relevant lean startup tools to conduct customer discovery and validation. Teams then pitch to demonstrate customer-problem fit. The teams are also trained and equipped with the tools and skills for business modeling. They develop a business model to be tested during the incubation period. Training-Selected teams undergo a one day customized training creativity and innovation and an intense two weeks curriculum designed to quickly orient them into the nuances of business skills, entrepreneurship and lean startup techniques. The training will equip the participants with the knowledge and skills across entrepreneurship, business modeling, team development, business processes, presentation skills and pitching, product development and lean startup methodology. Classes take place in the evening from 5:30 to 8:30 pm and on Saturdays from 9:30 am to 12:30 pm. Seed Funding-Applications for seed funding are submitted to the investment committee for review and approval. Applicants can apply upto KES. 5,000,000 (USD 50,000) in seed funding.